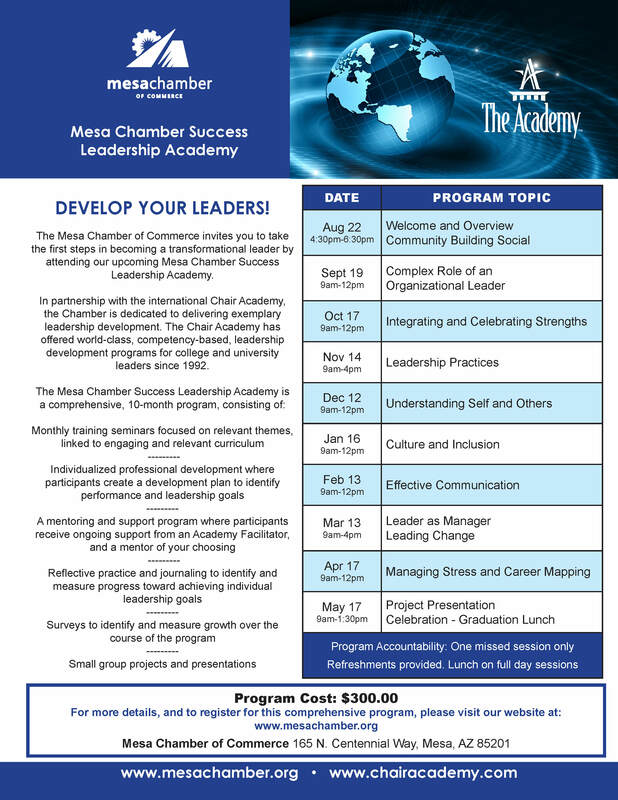 The Mesa Chamber of Commerce invites you to take the first steps in becoming a transformational leader by attending our upcoming Mesa Chamber Success Leadership Academy. In partnership with the international Chair Academy, the Mesa Chamber is dedicated to delivering exemplary leadership development. The Chair Academy has offered world-class, competency-based, leadership development programs for college and university leaders since 1992. If you indicate that you intend to pay by Cash or Check, that payment must be delivered to the Chamber office NO LATER than July 1st.